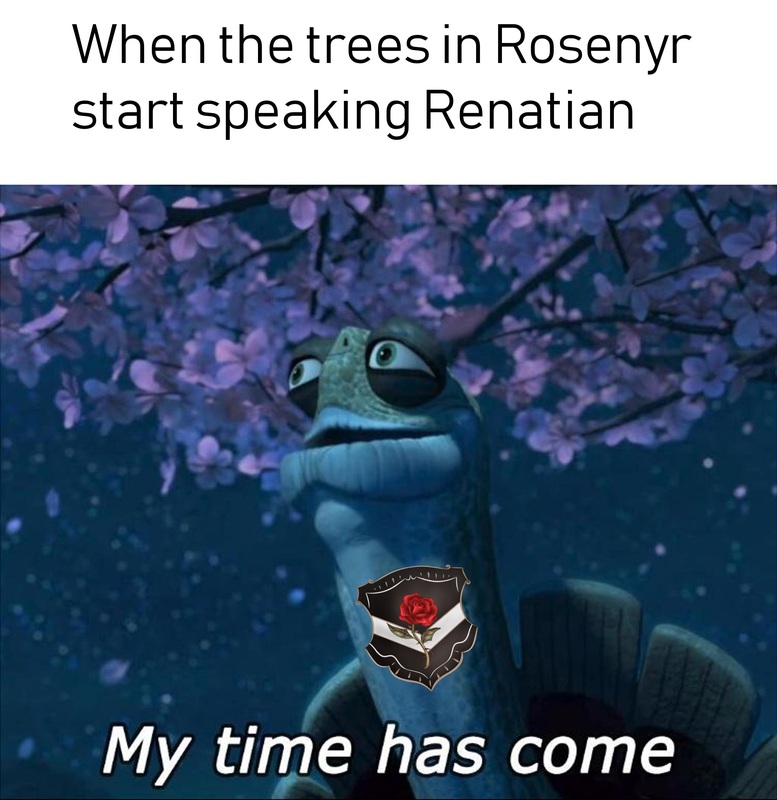 It references the recent attack from the Empire on Man on Rosenyr. Admittedly, it probably could’ve been “Common” instead of “Renatian” but it was the only way at the time I could see about making a direct reference to the Empire for those who didn’t understand. There are two types of people in LotC. People who can take down an Olog single-handedly while having torn off arms and legs, and people who sub to T-Series. You either die a Ugandan Knuckles, or live long enough to see yourself become a Big Chungus. According to all known imperial laws of aviation, there is no way that an Olog should be able to fly. Its flabs are too big to get its fat large body off the ground. The Olog, of course, flies anyway. Because Ologs don't care what LotC thinks is possible. Dark Elves are inherently designed to be purged.